So we know pineapple goes with mint sugar thanks to Jamie Oliver but what about some of the more savoury flavours from the spice drawer? 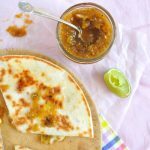 I am always on the hunt for refreshing dessert (or breakfast!) options and these combinations really hit the spot. Try offering a little dish of each flavoured sugar to your guests and let them mix and match. 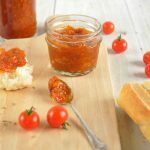 There are no rules here! Place the sugar and coriander in a mortar and pestle and bash until the coriander seeds are crushed. 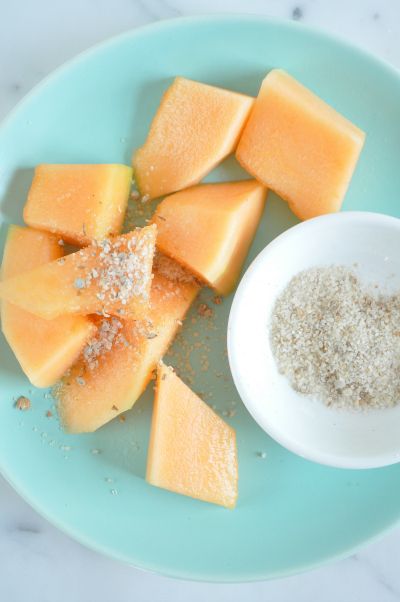 Squeeze lemon over rockmelon and sprinkle with the sugar. Makes 1/4 cup flavoured sugar. This will keep in an air-tight container for weeks. Place the sugar and cardamom in a mortar and pestle and bash until the cardamom pods are well crushed. Remove any remaining large pieces of pod. 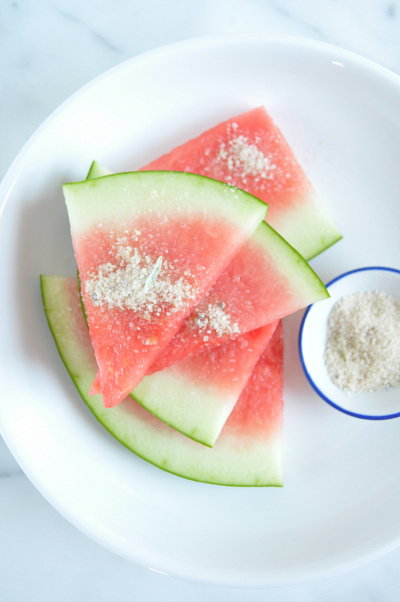 Squeeze lime over watermelon and sprinkle with the sugar. Place the sugar and chilli powder in a bowl and mix well to combine. 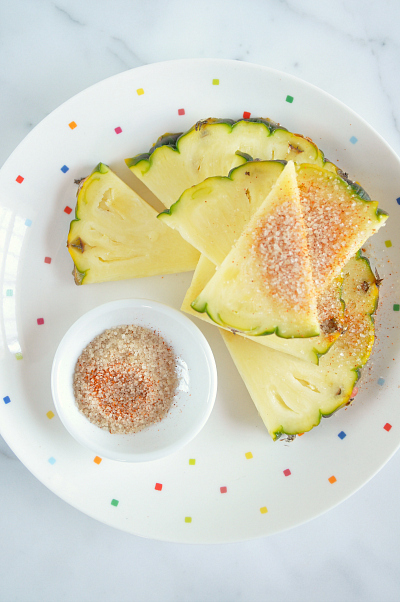 Sprinkle the pineapple with the sugar. oOo If you are feeling really brave, try swapping the sugar for sea salt flakes.